Gas Monitors There are 45 products. 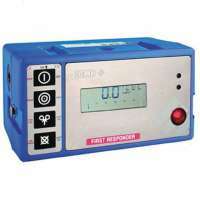 Here at Resmar we have an excellent range of personal multi gas monitors for detecting flammable gases, depleted oxygen and all of the most common toxic gases in a wide range of different industries. 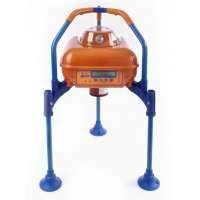 They are designed specifically for situations where there are a variety of gases present in the atmosphere that need to be monitored simultaneously. We have selected a range of highly reliable portable and fixed monitors that are commonly used to detect and monitor Hydrogen Sulphide, Carbon Monoxide, Oxygen and combustibles (%LEL). We also offer a full calibration service. 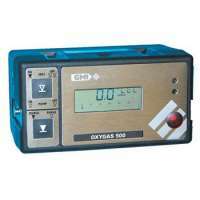 Ideal for monitoring oxygen, flammable and toxic gases. Reliable and Robust, 1 Button Operation, Audible, Visual and Vibrating Alarms, IP65, 12 Hours Continuous Use, bump test, 4 gas simultaneous calibration, reliable, compact, easy to use. 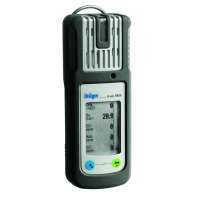 Measures; oxygen, inflammable and toxic chemical gases. Durable, reliable, compact and lightweight, easy to use, single button operation, top mounted backlit display, 16-hour battery life, audio/vibrating high visibility alarm, shock/vibration resistant chassis, IP65/67. Top mounted display, easy to use, rugged, reliable, automatic failsafe, one- button operation, 14 hour battery life, detects up to five gases, compact and lightweight IP65/67, multiple languages. Detects oxygen, flammable gases, rugged, reliable, easy to use, clear easy to read display, visual/audio alarms, Hydrocarbons at %LEL & % volume, TWA warnings, lightweight, IP65. All of the features of the Triple Plus+ with the addition of infrared sensors, highly suitable for both high gas concentration environments & oxygen free (inert) backgrounds. 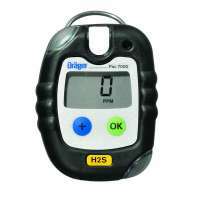 bump test solution designed to check that gas pro is in compliant state to monitor gas levels. 1-4 gas detector (CO1, O2, SO2, NO2 & H2S) gas entry for 2 sides, 360¡ visible alarm, IP67, Reliable Personal Protection, Lead Free, Zone) Ex approved, low operating cost. worlds smallest gas detection instrument, detects up to 5 gases, Highly Reliable, Robust and Compact, Low Cost of Ownership2 Button Design, IP67, organic vapours, combustible gases, oxygen and a number of other gases, catalytic EX sensor, two button operation. one touch bump testing, no computer required, support up to 10 cradles in any order, designed to be used as a standalone unit or as a single cradle system. 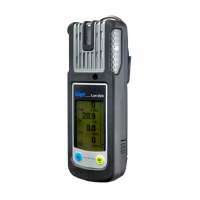 Designed specifically for rapid assessment of chemical or radiological hazards. Transportable, 1 Button Operation, rapid Set Up, Up to 5 Sensors per Monitor,IP54, remotely monitor hazards from a safe location, shock resistant and electromagnetically shielded, 18 hour operation, monitors, PID, combustibles, O2, toxic and gamma in any combination. multi Language, durable, Rugged, lightweight, easy to use. 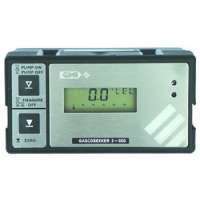 Easy-to-use, Automatic Calibration, any button on and off function, Bright LCD Display, Tough and Flexible in operation, IP67, portable, compact, rugged design, records STEL/TWA alarms, calibrations and gas values, time stamps & automatic zero calibration. 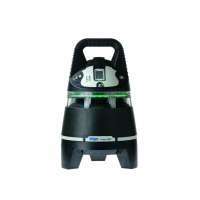 Multi gas detector that can simultaneously monitor up to 5 atmospheric hazards. Highly Reliable, Rugged, Impressive Range of User Settable Options, Pass Code Function, 4 Bright Wide Angle Alarms, Lightweight, compact easy to use. highly versatile five gas detector, 50% Lighter than other instruments, Continuous LCD Display, 0-1000ppm Measurements, 2 Bright wide-angle alarm bars, Supports: English, French, German and Portuguese, user selectable fuel options including PID/combustible correction, convert speech, language selection, span level, TWA/STEL calculation, calibration due date, latching alarm, pass code production, safe display function, stealth mode, as well as selectable PPM resolution for various gases such as SO2. 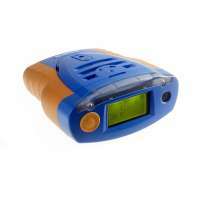 Slim, compact, multi gas detector. Easy 1 button operation, thin and lightweight, reliable, Bright, wide-angle visual alarm, Fully Water resistant , economical, excellent protection from atmospheric hazards, 10 hour battery life. Here at Resmar we have a wide range of area gas monitors for detecting flammable gases, depleted oxygen and all of the most common toxic gases that are found in a many industries. We stock units made by Drager, Scott, GMI, Honeywell, Crowcon and Oldham, all of them are high quality precision units made from durable materials that are highly rated for reliability, accuracy and durability. 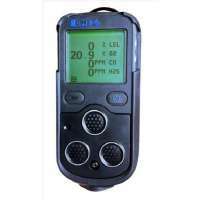 We have selected a range of highly reliable and economical area gas monitors that are commonly used to detect and monitor Hydrogen Sulphide, Carbon Monoxide, Oxygen and combustibles (%LEL). We also offer a full calibration service. highly accurate, reliable , low cost, integral pump with flowpath protected by water filter,2 button operation, polypropylene case, IP54, backlit LCD, ATEX approved designed for measuring % LEL and % volume flammable hydrocarbon gases, automatic range selection. Resistant to Water, Impact and General Wear and Tear, IP65 tripod design with folding legs, Ricochet mesh network system. wireless module for Detective and Detective+. Can be used as repeater. 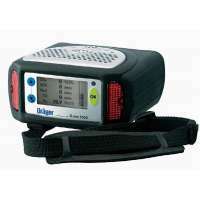 The Drager (Draeger) range of gas detection monitors are designed for safety and reliability in hazardous environments where toxic and explosive or flammable gases and vapours need to be detected quickly and measured accurately. 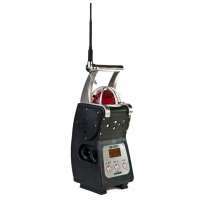 The portable units are robust and easy to use with clear visual displays, highly visible alarm LEDs and loud audio alarms along with vibrating alarms. These fully integrated units can be combined to extend the monitored area beyond just a personal space and the master stations are capable of a wide range of configurations, data reporting, storage and even printing. All these advanced features ensure a high level of safety in the workplace when hazardous gases are expected to be present and their levels continuously monitored.